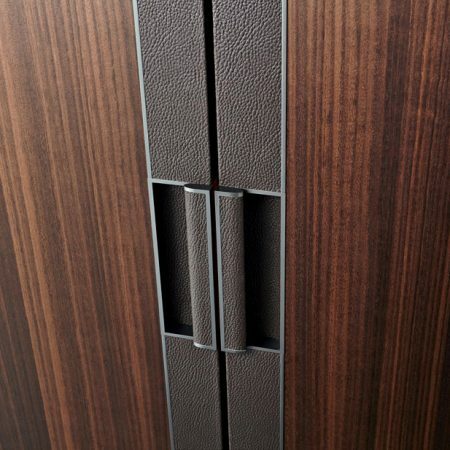 The longitudinal eco skin strip, as wide as the recessed eco skin handle, characterize the decisive, elegant look of strip. 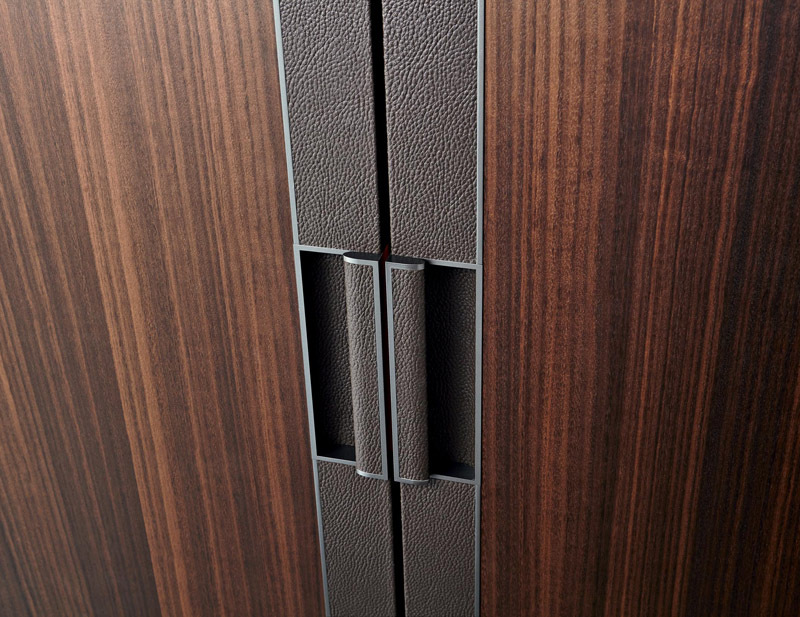 Available for hinged and flush compositions. The pair of hinged doors has two side panels and two handles of the same width. 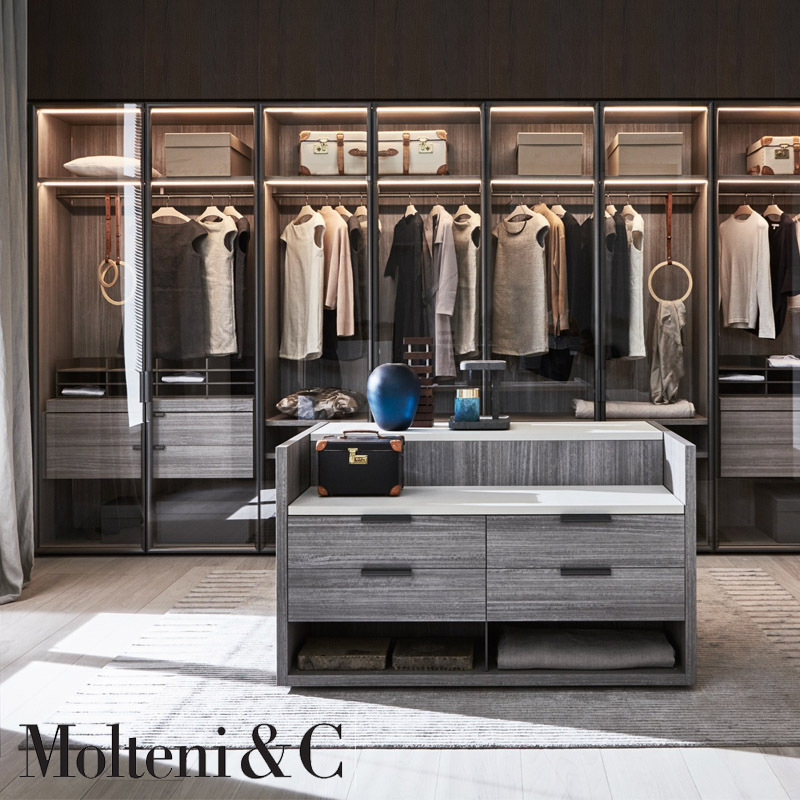 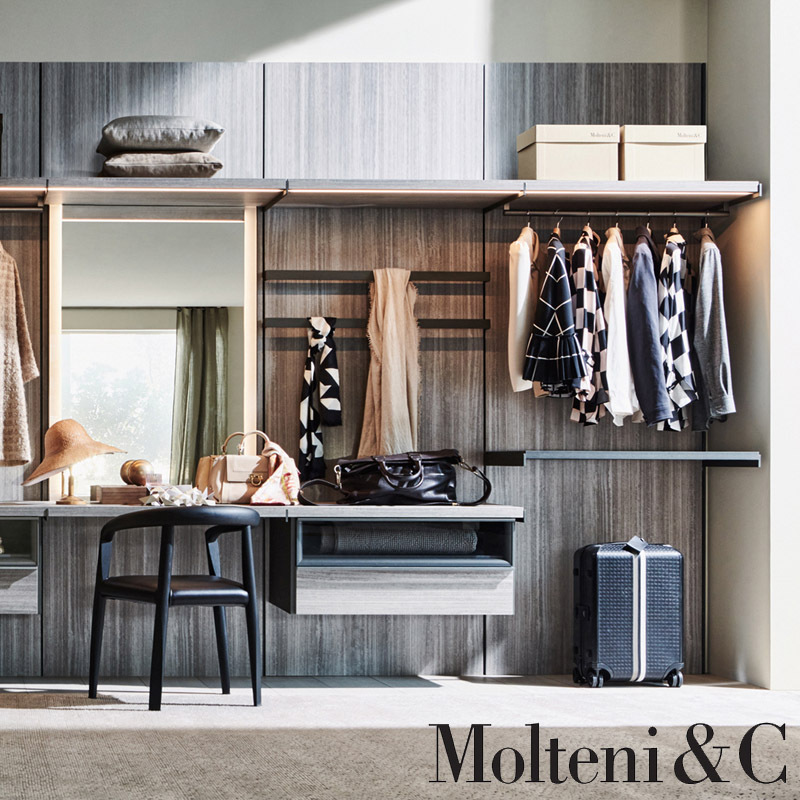 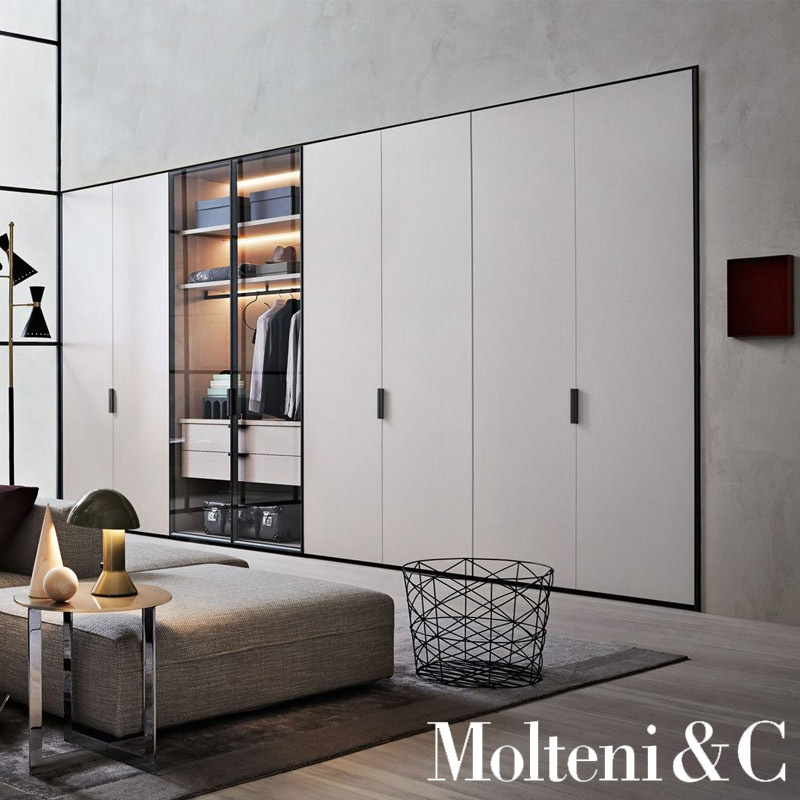 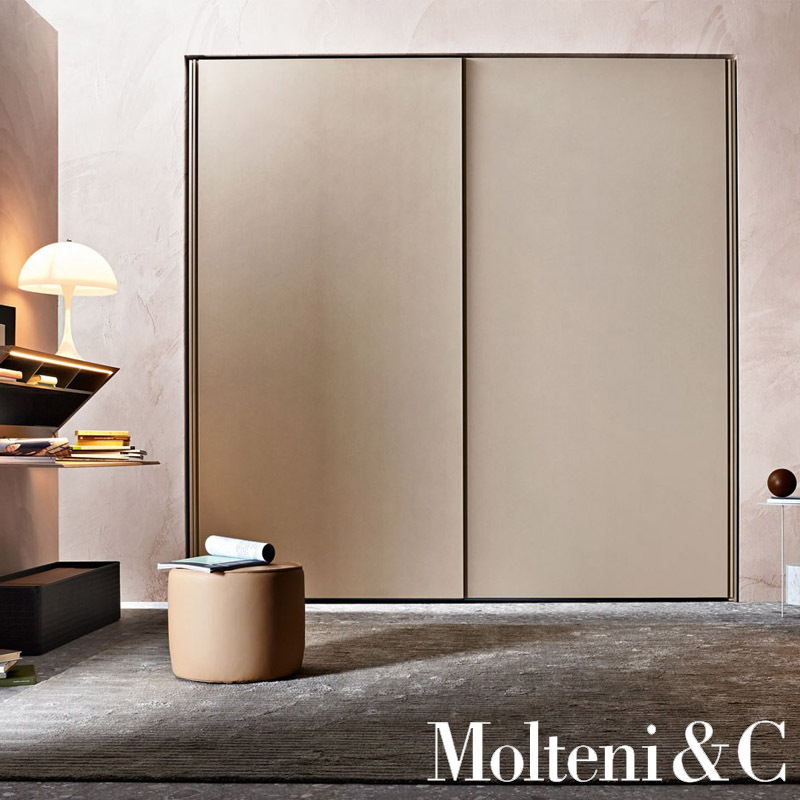 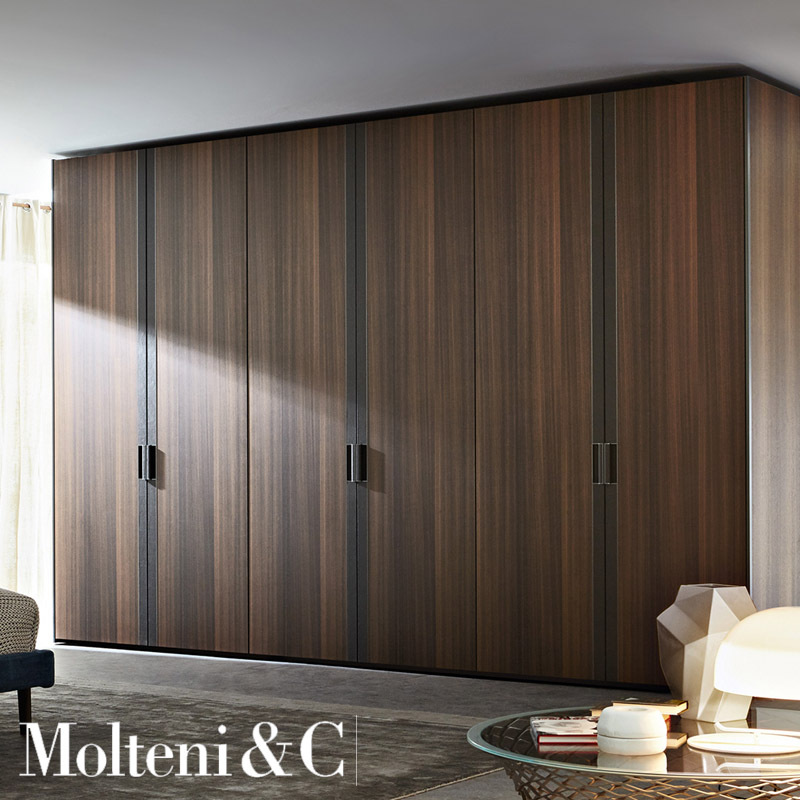 – Available finishes: matt lacquer, glossy lacquer, woods in the colors of the Molteni range.